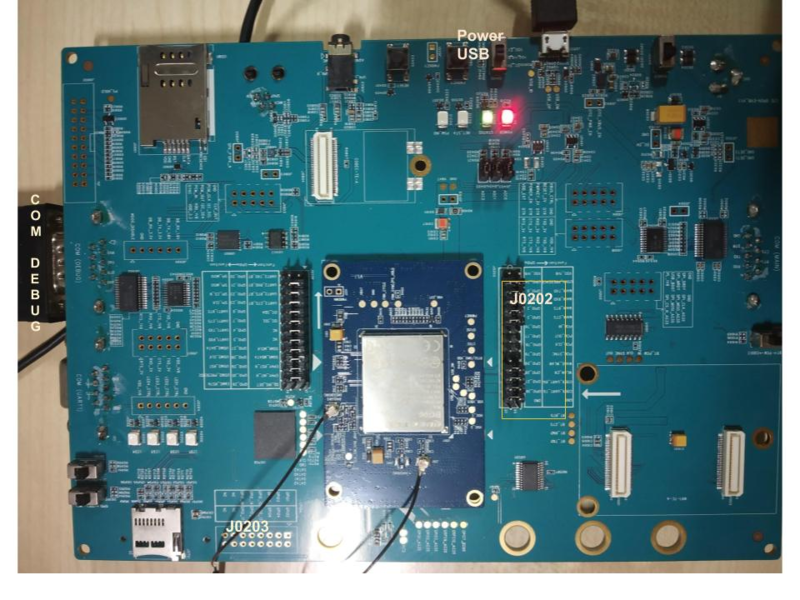 This project is designed to use the LTE for IoT SDK and supported modems such as the MDM9206 modem to track a Merchant Cart in an outdoor event venue. GPIOs on the board will interface with ThinForce sensors that keep track of inventory that is flying off the shelf. Or maybe the inventory is not moving at all! 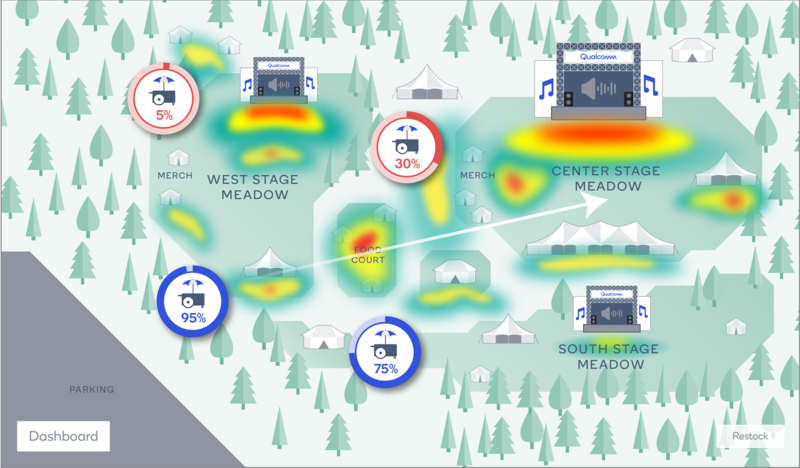 Either way, the setup can give event organizers visibility and ability to re-deploy vendors if needed to optimize selling opportunities. 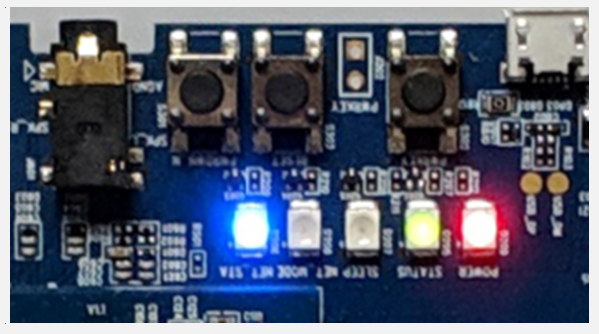 This project is similar to the one posted here, but runs entirely on the MDM9206 and does not require the DragonBoardTM 410c from Arrow Electronics. 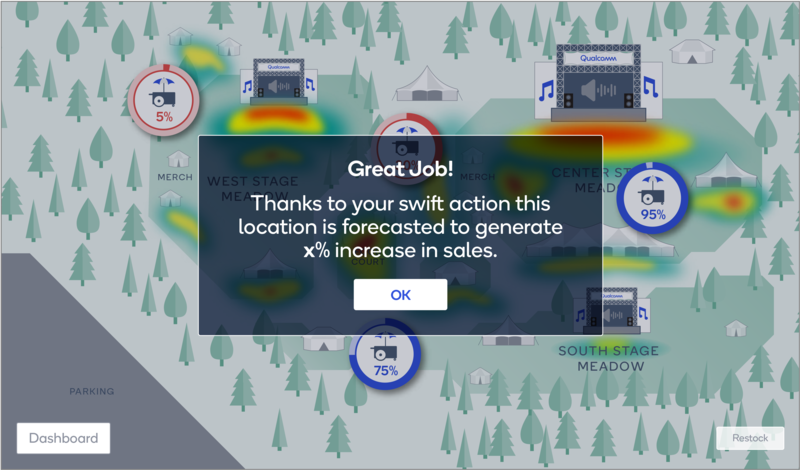 Some applications need the ability to deploy wide-area IoT cellular-based solutions that can reach into both indoor and outdoor locations, allowing reliable access to application services. Development platforms like the Quectel LTE OPEN EVB paired with the MDM9206 modem utilize tried-and-tested cellular deployments designed to deliver global coverage and comprehensive security. The main objective for this project is to use the MDM9206 modem on the Quectel EVB to track the merchant cart and sync the inventory levels to an AWS IoT cloud instance. The board comes with a firmware pre-installed. The firmware version can be 2.0 or 3.0. This firmware invokes application entry point on boot. This entry point is quectel_task_entry in case of 2.0 firmware. Application developers can develop applications for BG96 using the SDK (2.0/3.0). The current version of this application only supports Quectel SDK 2.0. Application development can be done on Windows 7 host machine. Applications can be cross-compiled for BG96 using ARM DS5 license. Please refer to docs\Quectel_BG96-QuecOpen_Application_Note_V1.0_Preliminary_20180502.pdf (section 3) for information regarding DS5 ARM compiler download and installation. Based on duration needed to complete your project you can choose to use 1-month free trial version. This setup is for working with Quectel SDK 2.0. Please refer to the document docs\Quectel_BG96_Windows_USB_Driver_Installation_Guide_V1.0.pdf for information on downloading and installing USB drivers on Windows 7 machines. Please carefully follow the instructions given in the document. You will need Quectel BG96 SOM to begin USB driver installation. You should be able to see DM, AT, Modem ports in the 'Windows Device Manager' once USB drivers are successfully installed. This command will automatically build all the .c files in the directory src/example/sub_pub and generate a .bin file called example_sub_pub.bin. In addition, it also generates a file called oem_app_path.ini. These files are generated under main SDK folder Quectel_BG96_QuecOpen_SDK_Package_V2.1.0\bin. You can specify apn, username and password to connect to your network in .cfg file (in the format apn|username|password). If apn, username and password are not applicable you need not copy the .cfg file. We have created a sensor mat using the ThinForce sensors that can be placed on the shelf of a merch cart. Connect the power cable to the Quectel EVB. Make sure the power switch is in OFF position. Connect the serial to USB cable to “Com Debug” to see Quectel EVB logs. Flip the switch to ON position. Place bottles on top of sensors to simulate smart shelf. Remove a bottle from the shelf and notice the inventory drop by 1. 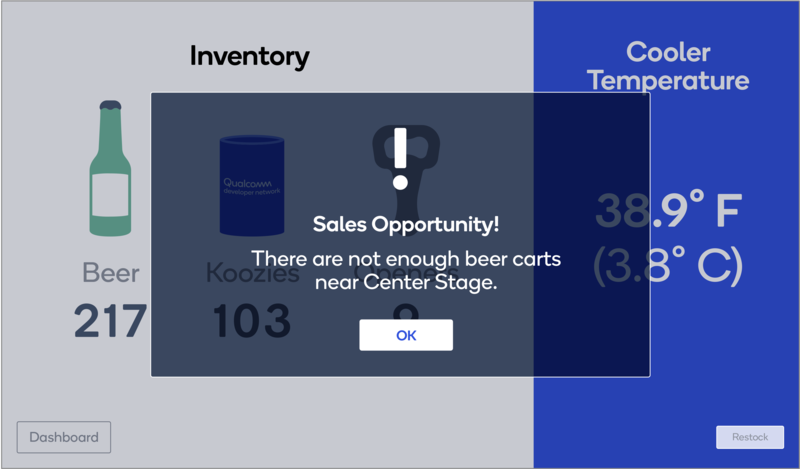 Remove a second bottle, the inventory drops by 1, and a Sales Opportunity appears. 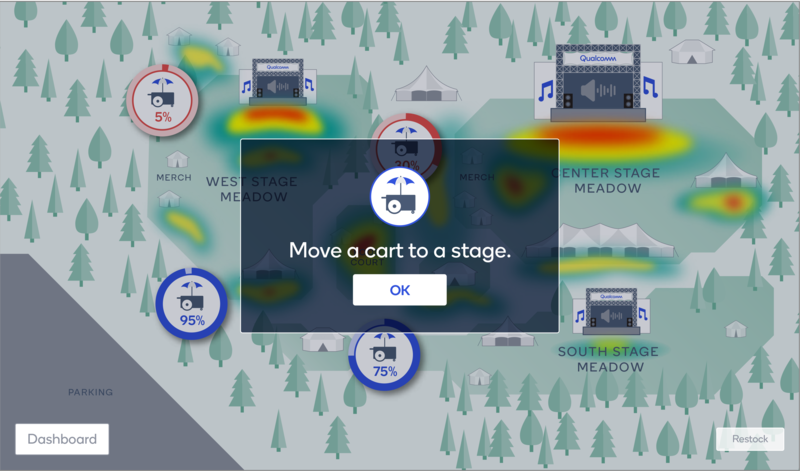 Screen displays festival map with prompt to move a cart to Center Stage. Drag and drop one of the beer carts to center stage. Success (or failure) notification appears. 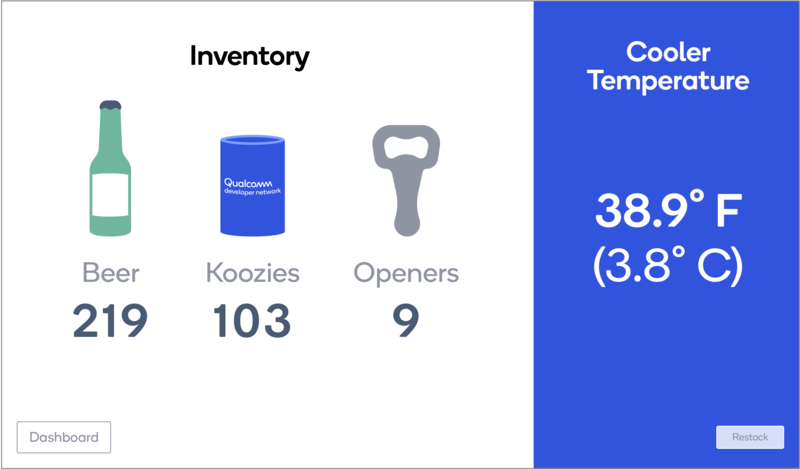 Tap on Dashboard button (bottom left) to see metrics from AWS IoT for inventory levels. 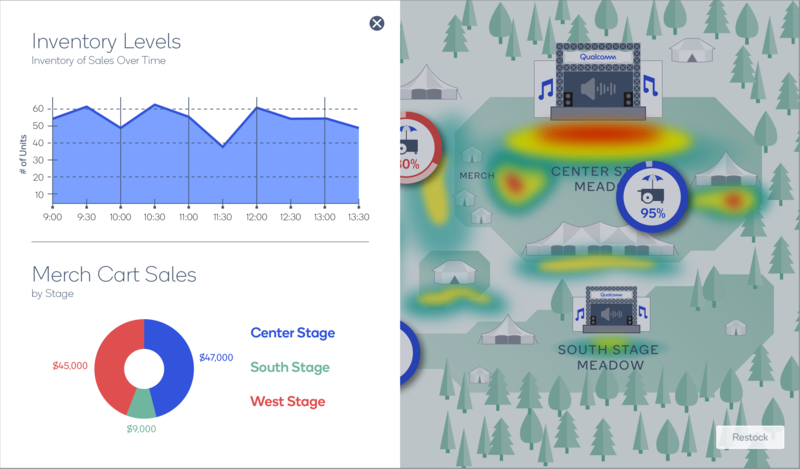 Merch cart sales chart is static data.